Today I got my Geeksphone Keon a developer preview device of Mozilla with the new mobile operating system named Firefox OS. The device is not yet available on the consumer market but you can buy it at Geeksphone online store for about Php5000. It would take about 3-4 business days shipping thru UPS going here in the Philippines, don’t worry UPS got a cool online tracking system for the package. I already had a preview of the design and was really excited to have this unboxing experience. Using a minimalistic design with just a print on a box. The orange color being the dominant in the design with some use of the grays is just awesome. The overall packaging have the feel of organic design that I really admire being a designer myself. The box has a lot of scotch tape on the bottom part to secure the contents inside that you may need to put it in a flat surface just to make sure it won’t drop. The phone itself is in bright Firefox orange with a matte or rubber back plate finish that prevents it from slipping in my hand. The screen attract a lot of fingerprints just like any other phones but the display is clear and bright, I enjoyed playing the tower jelly game that has a lot of saturated colors. Just like any other phone the basic items are included in the box, a charger with a detachable USB cable, stereo headphones and the supplied 1580 mAh battery. It has an initial charge so I’ve got to play with it for sometime before charging it, as you can see you may need a power adapter to fit in our power outlets. I’ve tried using the camera but it’s asking for an external memory card, a micoSD card that unfortunately you need to grab one. That’s it for now! Do you have an app ready for liftoff? Web developers that wants to work on a new platform can submit their apps at the Firefox Marketplace Developer Hub or join our local community Mozilla Philippines to get the latest updates for FirefoxOS. Samsung Mobile just released the firmware update 4.1.2 for Jelly Bean for Samsung Galaxy S3 GT-I9300, my device is from Globe Telecom here in the Philippines. I’m not sure if there is an update for other versions so check yours. Do you really need to update? I think we all should do it for security and bug fixes, new features are worth the wait although there in one feature that I really don’t like. The placement of the Multi-View is a bit awkward. It’s blocking the screen also the color is not that appealing to me, glad that there is an option to disable it. Anyways here are some of the features you might like. Download it using Wi-Fi to avoid all the hassle of the 43.02MB file. I used to install updates using Samsung Kies but with all the drivers and a need for a computer I’ve ditched that method. Samsung fans out there download it today. The smartphone measures 5.27 inches long and 2.70 inches wide. It’s a bit thicker than the Galaxy S3 with its 0.36 inch thickness. On the front, LG’s reiteration of the Nexus may look no different to Samsung’s, but how it’s made is what makes it a step-up. For protection, the Nexus 4 uses Corning Gorilla Glass 2 that stretches right to the edges of the phone. Flip it over and you’ll see a beautiful shimmering effect as if it’s made with diamonds. But do be warned, since it’s glass from the back and the front, you have to be careful not to drop it. It’s best to use a jelly or a leather case to protect it. The display of LG’s Nexus 4 is a little bit smaller than the Galaxy SIII. With 4.7 inch display and a resolution of 1280×768, you’ll get 320 PPI for a sharp and vibrant display. That means better text reading and superior graphic display when playing games like Shadow Gun, Dead Trigger, and Death Dome, and without any lags to boot. According to Google, it’s the fastest phone on the planet, and it really does boast some amazing specs. It’s powered with a Quad-core Qualcomm Snapdragon S4 Pro clocked at 1.5GHz with 2GB of RAM. The Jelly Bean also runs stock on the phone. For storage, it comes in 8GB and 16GB versions. Sadly, there’s no microSD slot for more capacity. So you have to be careful not to swamp your phone’s storage with apps and data. Take great snapshots using an 8MP camera with an LED flash. But what’s really amazing about the phone is its new camera software. There’s the Photo Sphere feature that lets you take full 360-degree snapshots in a flash. You’ll also get better photo-editing software that comes on stock. For its front-facing camera, you’ll get a 1.3MP one that you can use for the usual Skype calls or other apps that support video messaging. Considering the phone’s display, the phone’s battery life is very impressive. It’s juiced by a Li-Po 2100 mAh battery that can last 15 hours of talk time and 390 hours on standby. Of course, the longevity still depends on the usage. But nonetheless, it’s enough to last you for a day even if you use processor intensive apps. The Nexus 4 really performs very well even when using processor intensive apps. And with its price of $299 for 8GB and $349, it’s no surprise it’s the best in the market to date. Heck, the iPhone 5 costs $699 and the Galaxy SIII is worth $599. And make no mistake, the Nexus 4 can go head-to-head against them, and win without fail. Happy Birthday Firefox or Maligayang Kaarawan Firefox in Tagalog as we celebrate today around the world or depending on the timezone of course. 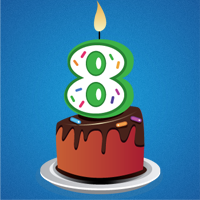 The hashtag for Twitter is #FxTurns8, you can also use it in Flickr for your photos celebrating the event today. Use this avatar image for different social media like Facebook and the like. We have a Twibbon campaign to spread in Twitter and Facebook, also if you’re on Tumblr you can reblog or follow this post. Please feel free to localize messages and post any language posts on the Tumblr. If you’re a fan of Firefox make sure to participate! We will have a birthday party on Monday, November 12 in Valero Park Makati City at 6:00 pm with other Mozillians and volunteers. Also we have a special guest from Mozilla US to discuss about WebFWD an incubator for open source startup project. So see you there guys! A great find on how to contact the Senators of the 15th congress of the Philippines is on Github, I suppose the guy behind this is a web developer. He compiled all the communication channels of the Senators like mailing address, phone numbers, emails and website. The cool thing I like is the issue tracker that he can update it with history, another creative way of using Github. This tips can help you get a better result in fighting for the CyberCrime Law and not just by shouting out, burst out anger. If there is anything you can add in this list feel free to do so. When sending emails, make sure to send it to all the listed email addresses for each senator. You can’t be sure which ones are active and which ones aren’t. Refrain from sending hate mail and other forms of personal attacks. These will not help. Consider making constructive criticism instead, and communicating why the issue is important to you. If you get bounced emails or wrong numbers, leave a comment on the issue tracker so I can update this list. If a senator here has no Facebook page linked, it probably means that any Facebook pages you’ll find associated with them are fake/unofficial. Try to contact them through more than one medium. Facebook posts alone will not be very effective; try to at least send snail mail to their Senate office addresses. A face-to-face meeting (if you can manage it!) will have a better potential than a letter; a letter, more than a phone call; a phone call, more than an e-mail or FB/Twitter post. Encourage your friends to send letters as well. The more people send in their concerns, the more you can convince senators (and their staff) that the issues you raise are relevant to their constituents. Address the senators, even if your letter is most likely going to be read by his/her staff. Address the senators by their full name (eg, Sen. Vicente Sotto III), not their popular name (eg, Tito Sotto). Direct lines are usually better than trunk lines. Try to ask the staffer about the senator’s stance on the issue you’re calling about. follow up with an email.